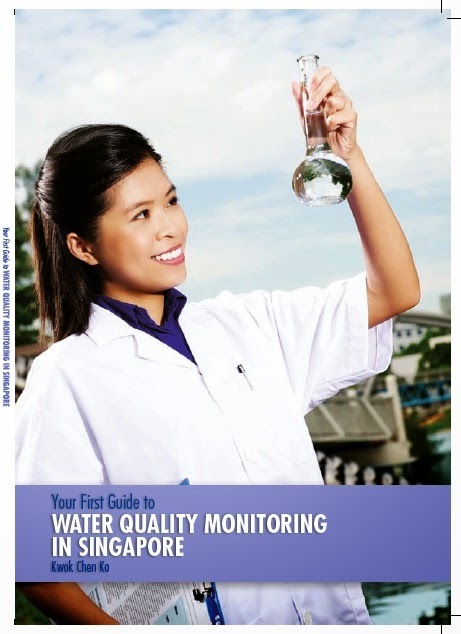 Water Quality in Singapore: Overseas community service (OCS)/ Youth expedition project (YEP) part 3: Are there still more things to check if my water is safe? Overseas community service (OCS)/ Youth expedition project (YEP) part 3: Are there still more things to check if my water is safe? This post follows from 2 previous posts. 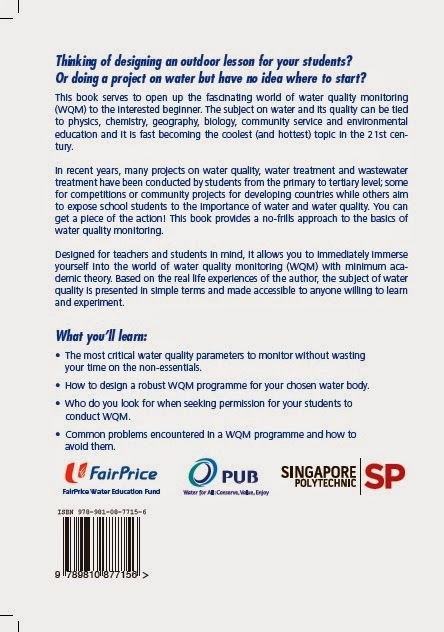 Overseas community service (OCS)/ Youth expedition project (YEP) part 1: Is that water safe? Overseas community service (OCS)/ Youth expedition project (YEP) part 2: How do I know if that water is safe? So you have checked out your watershed and everything looks ok. No industries, agriculture or villages around. Are we home and dry? Mining (granite, coal, metals etc.) can especially be nasty to health and environment even after closing down for years. Digging deep into the earth can release toxic substances (lead, radiological compounds, heavy metals etc.) found underground into water once the mine fills up with water after closure. Not surprisingly, mining can also impact groundwater quality so those looking at using well water do take note as well. Or sometimes, the mining operation itself left hazardous waste which remains uncleared after closure. Google "toxic legacy of mining" and you can find tonnes of examples. Here are a couple. Australia - copper and gold mining can create a leachate with hazardous levels of copper, manganese and zinc. France - uranium mining - "accumulation of radioactive metals in sediments and plants of rivers, ponds, and lakes by contamination around former mine sites has also been found to have high enough contamination to be considered “radioactive waste”"
And a common example is acid mine drainage in which sulfide ore from underground turns into sulfuric acid upon reaching the ground surface (chemistry is involved). This can be quite serious as it can turn water very acidic - pH of 1 or less. If we are talking about crop land or plantations, there is a likelihood of pesticides and fertiliser residues in the soil/sediment. On the other hand, animal farms will likely introduce animal waste (which is also a source of nutrients) into the soil/sediment. Nutrients/fertilisers are especially good at promoting eutrophication in water bodies while pesticides can be toxic to the ecology and us. Most of you probably knows that Sungei Buloh used to be house prawn and fish farms in its mangroves before being converted into the wetland reserve we know together. However, do you know that it used to house pig farms too? 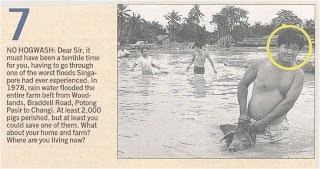 (Wetland forest of Sungei Buloh mangroves) Has all the pig waste been cleared from the area? If not, can this be a source of nutrients leaching from the soil/sediment into the current mangrove area and causing eutrophication? In simple terms, an estuary is the intersection between a river and the sea. It can be in the form of a swamp, bay, delta etc. Not only does it accumulate (depending on the tidal and hydrological conditions) stuff from the river (think about oil, pesticides, heavy metals), it can also receive pollutants from shipping (ballast, waste, cargo overboard), especially along a busy shipping channel or near a port. The port and upstream factories may not be there anymore but the pollants remaint in the sediment, possibly for a long time of decades and slowly releasing its toxic load of heavy metals and persistent organics (including dioxins, PCBs (polychlorinated biphenyls), -cides (pesticides, insecticides, herbicides)). BUT if someone decides to dredge the sediment (perhaps to keep the channel deep for shipping), you may see the serious problem of a massive dosing of pollutants into the water. Morale of the story: don't disturb the sediment unless you intend to remove the whole chunk as a long term solution. Incidentally, heavy metals or persistent organics can show up in bottom feeders such as shellfish (mussels, clams etc.). They accumulate the substances as they wade through the sediments for food. Of course, what this means is they are potential bioindicators - indicating the health of the environment without doing a chemical analysis first. The other more serious implication is if the locals feed on these bottom feeders, they may very well be intoxicating themselves. Figure: 1969 topo map of the area around Ngee Ann Stream. 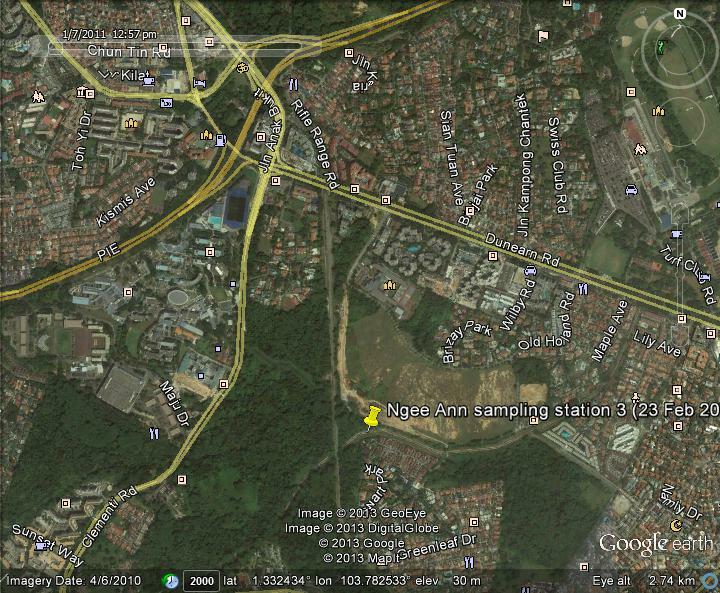 Notice that the old railway track splits into 2 lines near the Bukit Timah station. Old maps are a good source of information on the geographical history of the area. Another source is old aerial photographs. 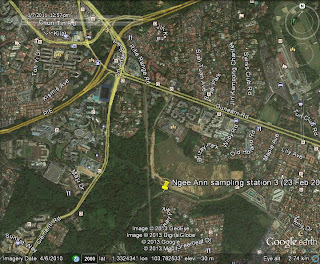 Figure: Google Earth view of the same Ngee Ann Stream (imagery data 2009, 2010). Some roads and waterways remain after all these years. Figure: Photograph from The Straits Times, depicting the floods in 1978 and men rescuing their pigs. More importantly, it tells you that Woodlands, Braddell Road, Potong Pasir to Changi used to be a "farm belt". Such old news are another source of information. 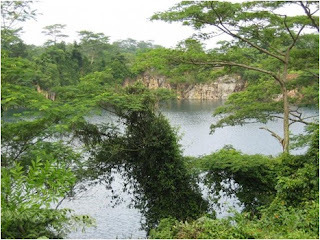 Figure: Quarry lake on Pulau Ubin. Disused after the granite quarry has closed. How does such a mining activity affect the water quality? 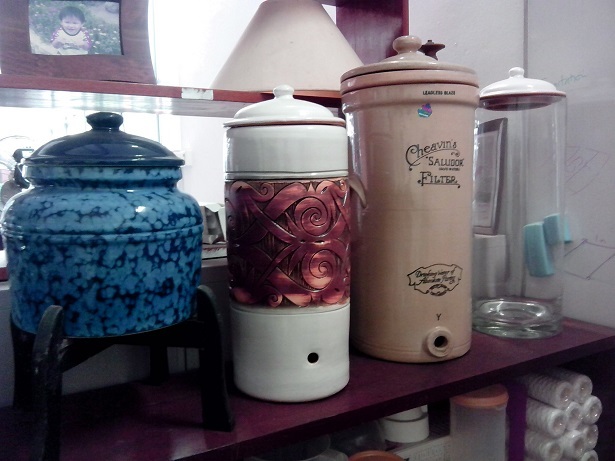 What water filter does the military use?